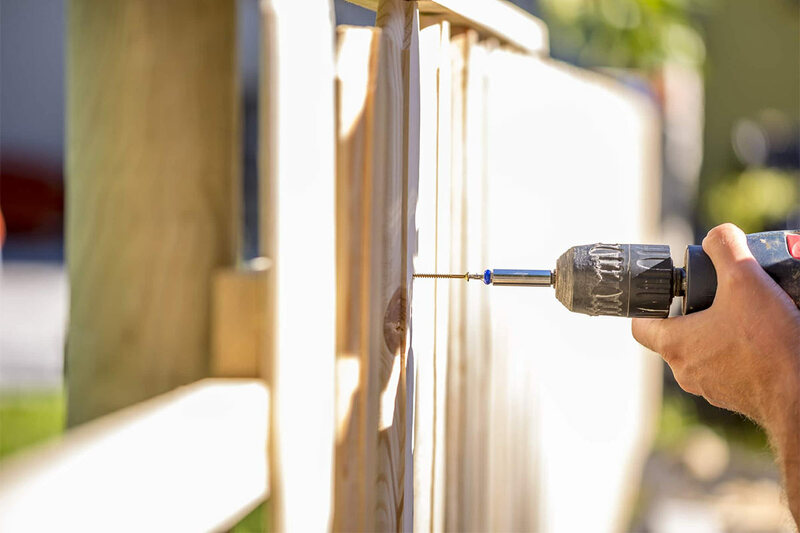 If you’re looking to install a new fence on your property, there’s plenty to consider. Denver fence companies can advise you on the best materials to use in the construction of your fence. After all, many different options are available, and there are benefits and drawbacks to each. You should consider carefully and consult with the experts before making your choice. In addition, you’ll want to install your fence at the best possible time of year. The climate in your area will affect your new fence, and in order to increase its longevity, it’s important to plan your installation at the right time. So when should you install yours? When planning your fence, you’ll be offered a choice of the most popular materials from which to build. What you select depends not only on the function of your fence, but also on your own personal priorities. Wood. Most property owners who select wood fences do so for the aesthetic—they give a beautiful curb appeal to any home. In addition, wood is relatively inexpensive. A wood fence is one of the more affordable options you have. But proceed with caution—wood fences require a lot of upkeep, so if that doesn’t appeal to you, wood might not be the right way to go. Iron. A wrought iron fence is the most expensive of the standard options you can choose, so if keeping the cost low is your priority, this isn’t the right decision. However, iron fences stand up well to the tests of both time and weather, and many people really love the look of them. Vinyl. If you love the way wooden fencing looks but you don’t want to worry about the upkeep, you’ll want to consider vinyl. Although it’s a little more costly, high quality vinyl fences duplicate the look of wood but don’t require any painting or staining. Chain. If you’re looking for affordable and low-maintenance fencing, you can’t do any better than chain link. It’s the cheapest option around and requires no upkeep whatsoever. But it’s also considered less attractive than the other options, and it offers nothing in the way of privacy. Bamboo. A bamboo fence is extremely environmentally friendly. Because bamboo grows back so quickly, it doesn’t have the same effect on deforestation as the use of other types of wood. Bamboo fencing is also extremely durable. But this unique material is not available in all climates and is susceptible to rot, so depending on where you live, it might not be the right call. Ask your fencing team if bamboo is right for your climate. Choosing when to install your fence is just as important as choosing what it will be composed of, so let’s take a look at the options available to you. Although everyone likes to take on new projects during the spring, this might not be the right time of year for you. You want individual attention from your contractor, and by installing during peak season, you run the risk of being just another stop on their list. In Denver and other cities with similar climates, summer is the driest season, making it a great time for fence installation. Rain is the only non-severe weather condition that poses a serious obstacle to an installation. However, others might have the same thought, so prepare to wait a few weeks for your installation. The cold and wet in many areas makes fall less than ideal for a fence installation, but a professional will still be able to complete the project without too much trouble. If you’re looking to self-install, though, avoiding this season is probably a good move. Since it’s the off season, winter is the perfect time for an install if you live in an area with decent weather all year long such as Los Angeles. Most fence installers work year round, so you should be able to find someone to complete the project for you, even in the cold weather. No matter when you choose to install or what material you select, working with an experienced fence installation team will secure the success of your project.